Those who have felt a little guilty every time they bought something in a plastic carry bag may have heaved a sigh of relief on hearing that the plastic they dumped as waste can be recycled and used for road construction. Perhaps, they were mistaken. There is an allegation that the whole story was cooked up for your benefit, to lighten your sense of guilt and encourage you to continue using plastic. With increasing pressure to tackle the plastic waste menace, almost every local body had come up with one or the other means to recycle plastic. While the rather well-to-do local bodies had gone ahead with a full fledged plastic recycling units that converted it into pellets to be supplied to recycled products manufacturers, others had settled for plastic shredding units. They had claimed that the shredded plastic is used in tar for roadworks. But, the sad truth is that many such shredding units turned dysfunctional within a year of their commissioning. “Many shredding units have become defunct. The initial plan was to sell the shredded plastic to Clean Kerala company which it would sell to contractors who undertook roadwork. But the local bodies soon stopped shredding as the Clean Kerala company did not make any effort to collect the shredded plastic,” said Jabir Karat, CEO of Green Worms, a waste management firm approved by Suchitwa Mission. 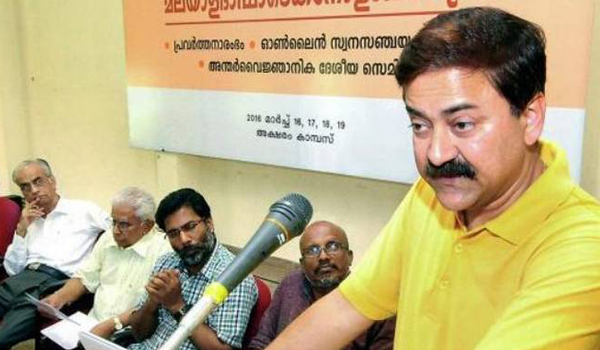 However, Babu Parambath, project coordinator of Niravu Vengeri that runs the Kozhikode Municipal Corporation’s plastic recycling unit, claimed that Kerala can make it work by establishing a proper link between the shredding units and the contractors. “The PWD or the Clean Kerala company are supposed to provide the link. But they have failed,” he said, claiming that shredded plastic from several units run by Niravu were sold outside Kerala and was in great demand. A source at the Uralungal Labour Contractors’ Cooperative Society said plastic was not at all necessary for roadwork and that claims to the contrary were an eyewash. “We undertake roadworks and do not use plastic at any stage,” said an engineer. He said plastic was being used only for rural roads where the melting point of tar is set below 130 degree Celsius. For large-scale roadworks, the temperature is set above 160 degrees, which the plastic would not survive.